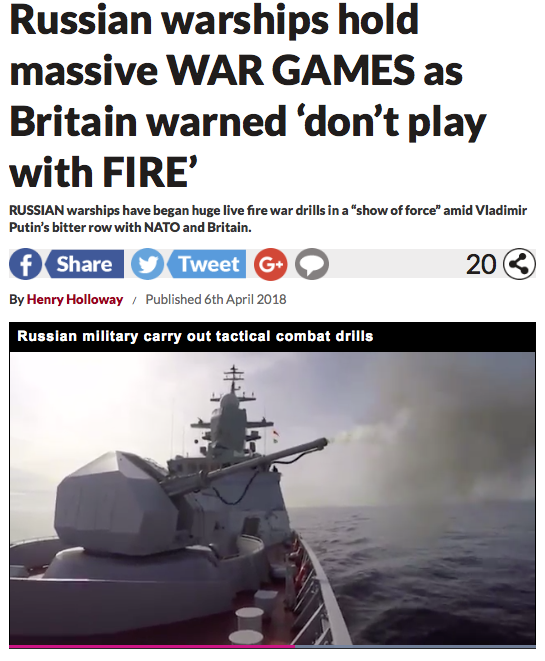 The Russian based media Pravda reported on April 11, that “Russian warships kicked off naval exercises near the coast of Syria”. 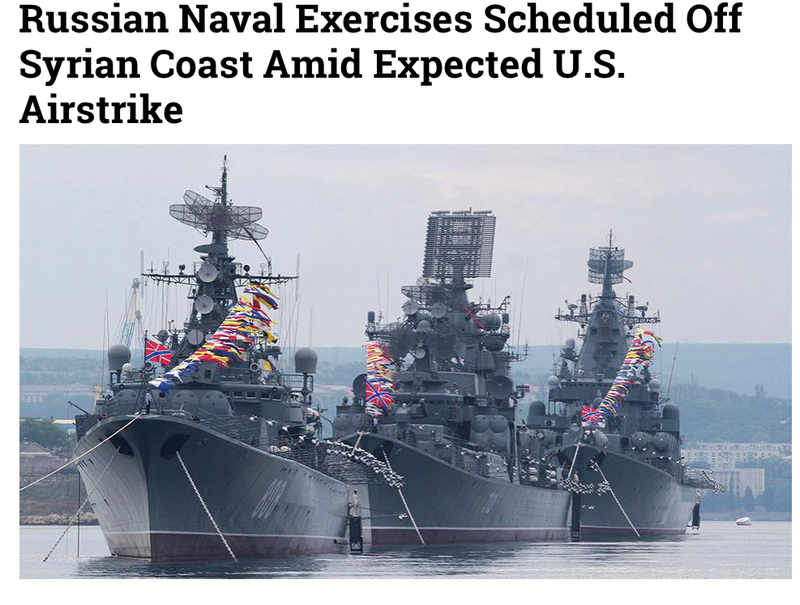 According to the Moscow Times, “The Russian Navy is reportedly scheduled to launch firing drills off the coast of Syria on April 11 (Wednesday) amid fears of an imminent U.S. airstrike against Syria following a suspected chemical attack”. The message contains coordinates of the closed area and states the fact of firing exercises. The area of the exercises located in international waters of the Mediterranean is adjacent to the sea border of Syria. It will be closed on April 11-12, April 17-19 and on April 25-26 from 10 to 18 Moscow time. 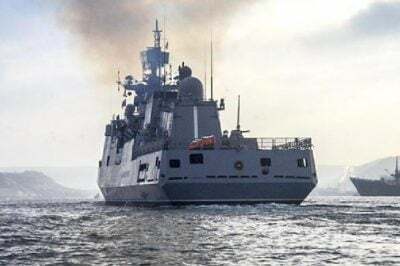 Russia currently has about 15 warships and logistics vessels of the Black Fleet in the Mediterranean Sea, including Admiral Grigorovich and Admiral Essen frigates (they carry Caliber cruise missiles), as well as submarines. 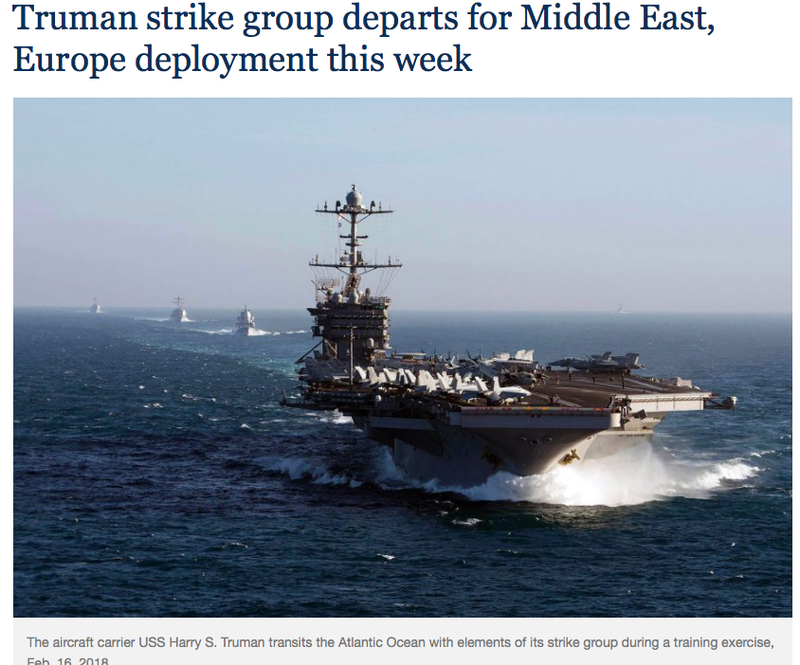 These war games are conducted in response to ongoing US military threats directed against Syria, not to mention the ongoing deployment of US naval power in the Eastern Mediterranean. Who is Playing with Fire? Russia or US-NATO? If U.S. President Donald Trump decides to take military action against the Syrian government in response to Saturday’s chemical weapons attack outside of Damascus, he would almost certainly have to approve a wider operation than the limited strikes he ordered just over a year ago. Trump’s Chemical Weapons justification to bomb Syria is based on the presumption that President Assad is allegedly killing his own people is fabricated. This is a lie. Moreover, there is ample evidence that the U.S sponsored “rebels” (aka Al Qaeda affiliated terrorists) rather than the government of Bashar Al Assad are not only in possession of chemical weapons, they have been trained by the Pentagon. These deployments of US Naval power are to be followed by the dispatch of the USS Truman Carrier Strike Group “accompanied by the guided-missile cruiser USS Normandy and the guided-missile destroyers USS Arleigh Burke, USS Bulkeley, USS Forrest Sherman and USS Farragut.” (Stars and Stripes, April 09, 2018). The Carrier group has 6500 sailors as well as air force personnel. US Missile and Gunboat Diplomacy. Failures of the anti-war movement. Distortion and omissions of the mainstream media. Featured image is from Pravda.ru.